Hope and lack of it, is all I write about – all the time. My own struggle with holding on to hope and my DESIRE to BRING hope to others. It is in that desire that writing this is so hard for me, for it is the ‘anticipation or expectation of a desire being met’ that instils hope within us. Writing here has allowed me to assimilate my perceptions of hopes meaning. Thank you Susan for prompting the opportunity to do so, for myself, and hopefully, for others. Hope is formed in Uncertainty. A simplified expression of hope is the hope for a good spread of presents under the Christmas tree … whether we are children or parents. It is not guaranteed to be so … but we hope. Why is it that both the receiver of gifts and the giver are filled with hope? As children we want to get something special, as adults, we want to give… something special. Have you watched a child’s awe and joy when they open a present they hoped for? Have you seen a child’s heart when they watch someone opening a present they have given? Have you felt the hopefulness in them? The anticipation of what their gift will bring the receiver? Have you felt it in yourself? I lose my hope when I feel I have nothing to give. Funny that. When my reasons for living are about what I can get, it is then that I have nothing to give, and it is then that I find hopelessness setting in. To watch someone unwrap a gift they have anticipated hopefully, brings a sensation not easy to express. How do we allow ourselves to hope for the ability to receive something, when hope is all we wish to have? Hope for the future, hope for love, hope for dreams and joy and peace. How do we maintain our hope when these things seem so intangible? Uncertainty brings fear, yet it also brings hope. Hope brings confidence in our desires for the future even when we are uncertain of the outcome, we HOPE it will be a good. We hope, INSTEAD of fear. I believe hope is a moment. Something we hold in memory. We cannot hold it and keep it. It flows. We cannot take hope, nor can we wish for hope. Hope is that which we give and receive, not something we lay claim to. True hope, not a wish, is a deep desire for change. For something special to happen … something significant that shows us answers to little or big questions, or simply that – we matter. No wonder we lose hope so easily. We look and look for where we left it, where it went to. We try to ‘get it back’. If hope is an expectant cherished desire for change, and we expectantly wait on being given an epiphany as ‘something special happening’, we COULD wait a long, long time to know hope. Yet if we look back, at moments in their intangibility, and we look at our lives and the changes we have endured or cherished, we will see hope in the faces that filled those moments. Even bad moments, for there they were in the past, but here they are no longer in the present… change happened without us seeing it. If we are present in each moment, hope becomes a gift of a moment in time understood. Not something to chase after. When we lose hope, the only way to find it is to allow for it to make its appearance. Not to beg, nor plan, nor yearn for. Hope is what we dream of and desire to know, so it can be real to us. To understand something as real, seeing is believing. Hope can only be known when, as with everything intangible, it manifests into our reality. The problem with hope, is we cannot see it very easily, because hope resides in hearts. Looking at ourselves is impossible if it were not for a mirror, and then it is a mere reflection. You cannot look at yourself, to see and know hope. Hope does not belong to us, it can only be ‘seen’, in the lives and faces of those we give it to. So what is that feeling we have when we can say – ‘I have hope’? It is not hope in itself that brings this feeling. It is joy. Joy resides where hope lives. When we give hope, we give joy. When we give joy, we receive hope. Many of the answers we seek to find is to show us our purpose. Do we matter? We need change through answers, to show our effect on our world – to show us that in our reality – we matter and are valuable. When we receive hope, we receive joy. When we receive joy it is because we know that we are valuable and matter. We feel a purpose to our lives. How we all seek for something tangible to give us a purpose and meaning in life. How much do we strive to be valued by others and even ourselves? How many moments do we spend trying to be valuable? Hope is considered a virtue along with faith and love. I wish I had room to convey the relationship between these three and WHY they are virtues, alas I do not or we shall have a book to read – I will however state that the definition of faith according to the dictionary (not theological definitions) is, ‘Complete trust or confidence in someone or something.’ I MUST mention this as I see error in the presumption that if there is no belief in God that there is no faith. Faith is what we see as true – what we place our confidence in. Hope is something we instil by how we choose to live. Giving away something we seek in order to receive it, is not virtuous. Giving good away in order to refrain from giving bad away – is virtuous. The ‘virtuous’ aspect has nothing to do with the theology, but the way we perceive good. It is understanding the flow of hope – faith and love. 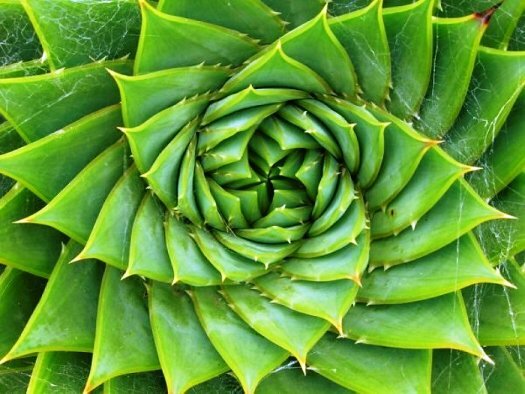 If you are a reader of my blog you will be aware that spirals are constantly apparent in much of what I think and write about. Spirals are the foundation of everything, from the tiniest DNA strand to the spiralling galaxies. It is as important to receive as it is to give, for in doing so you allow someone else the hope in ‘expecting with confidence’ the outcome of the circumstance of giving to you. To allow someone else the ability to give of themselves and see hope and joy in another is in itself a gift we can give to each other. We all desire to feel that what we offer each other is valued. We ‘cherish a desire with anticipation and with confidence’ – we HOPE that we can give enough and give joy. We give our hope over to give joy…we put it on the line. The joy is a manifestation of the hope we give. When we allow others to be a part of giving, and do not desire to only be the one giving, we create a circle of hope. We create confidence in others. We create a desire met. We create joy. To receive hope offered, is to be humble in the presence of the gift we receive and so also give. To give the gift of hope, first, we must be able to humbly receive, no matter how small the offering. In receiving we are giving. In giving we are receiving. Imagine the child with gift in hand offering in hope of giving pleasure and joy to the receiver, now imagine how hopeless a child would be if they did not SEE that there gift had given pleasure … imagine being that child, feel the confidence and cherished desire to give joy seep away, and know hope – lost. Special moments cherished, the simplest way to give and receive hope to remember in our hearts through the hopeless times. It is the hope that is remembered, understood and cherished more than the moment that gave it – hope received humbly as a child gives a gift, is hope truly found, and it changes not a moment – it changes everything. Belinda writes philosophically in prose and poetry on Idiot Writing, where she does not write at all like an idiot. When all hope seems lost..all paths seem to have a dead end… we can find, in the most unususal places an answer to our fears. This is a beautiful correlation for our lives, to live with hope in our lives and hearts. Thank you. Belinda and the other writers did a wonderful job in this series. Thank you for the reblog. I like the idea of hope spiraling and opposed to “springing,” which is a more ephemeral image. Spiraling, as you so eloquently state, is eternal and constant and is fed by the positive energy of others, and not static. Thank you for reading and leaving your beautifully positive feedback 😀 Though – you got me thinking now…cos a spring kinda spirals…. cool… LOL! Interesting Belinda. I like the spiral idea.That would imply that as we seek hope or rather desire it, we become more proficient in hope. The other point would be the similarity to love being defined as “desire to be one with” – the “desire” parts being common. So if hope is to give and receive, then it is the pathway we must follow to love. For isn’t love the giving and receiving of all? Definitely worth pondering. Thank You. Belinda is definitely a pondering kind of gal. Her ponderings remind me of yours a little, Paul. God speaks to and through both of you – she is a dirt sister for sure! Thank you for the best compliment you could possibly have given me Susan. I like Belinda as a dirt sister. Ha! I can easily see her concentrating hard as a young child on making mud pies. ha! You are welcome 🙂 I am fairly certain that love faith and hope are pretty intertwined. Beautifully written. Thank you so much for sharing! Thank you so much 😀 And Thank you for sharing! That is a beautiful verse 😀 Thanks for sharing! I liked what you said about feeling hope when you have something to give to another; a lesson they needed, a blanket against the cold, something you have and do not need but another does. And, as I have learned this week, hope does occur with adversity. Of course, in the face of a bad turn, you could just bury your head in the sand, but it is better to hope, take action and believe that everything will turn out the way it needs to. At time it seems it can leave… but because it spirals 😉 it comes back and THAT is what we have to believe – that the process works. This too shall pass – even feelings of hopelessness. Especially if we embrace ourselves as creatures who are designed to connect and be available to life happening. It is an interesting image. Hope as a spiral. 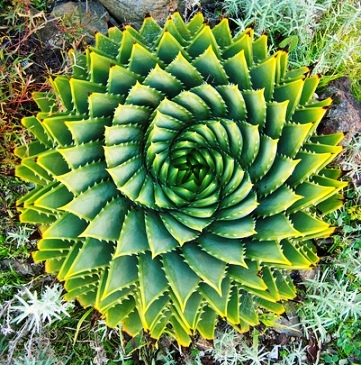 I have always loved the spirals that occur in nature. Hope does spiral; it comes and it goes (sometimes all in the same day). A very beautiful write, one that instills in me the subject. I have always thought of hope as a wheel – always turning toward or away. I think I like your concept better, as a spiral creates energy and that’s what I always need in order to move forward. ” we HOPE that we can give enough and give joy” You have done this here with your thoughts on Hope. Beautiful piece ……. without hope our hearts would break. Thank you so much for having a read 😀 Spirals… sigh.. ❤ THANKS for going looking and sharing! I agree with Paul. Loved the line about losing our hope when we have nothing to give, and hopelessness setting in. How true. I’ve seen that time and time again in counseling with people over the years. Its like with the other-centered love between the Father and the Son, this other-centeredness is the DNA of hope. Blessings to you. I do feast upon your notion of hope on a two-way street, Belinda. Thank you for the Hope Spiral. I imagine everything in life is a two way street, just hard to see how sometimes – and not always easy to apply, or keep the flow going. Maybe it is also just part of seasons? Very kind sentiment Mark, (I think?! lol!! 😀 ) Thanks again for taking time to comment with your enigmatic kind words. I am enigmatic not on purpose, that’s for sure, Belina. I mean well positively. I am wonderfully delighted to find the word in a positive light, Belinda, and I thank you for the explanation and the description. It is quite lovely and I find it very touching in a good way. Thank you. Pretty pleased you enjoy thought process. Susan asking me to write about hope came at a good time for me, as I think I really needed to contemplate it a bit deeper than something I/we live in, and often take for granted that it is ever present, when there are so many places where hope is able to slip away in through our own desires and ‘wants’…and so many who really DO live day to day with a sense of hopelessness. I am fairly sure that a call to bring/manifest hope is our purpose – to keep light shining brightly, as far as we are equipped to do so. Oddly – I would raise a glass to that. My thinking being that as our four children grew up – if all they saw was an edited version of life – it would give them an edited approach to living. But to see “mum and dad” bump and crash as well as soar and love – to see that the bad times are not the end times – that was useful. And as I type that – it seems to wrapped up in hope again. Enough hope to give and keep giving – rather than hope things will come to us. I feel honoured you took the time to read those words. I think it came at a good time for us all, B. Thinking of it as our purpose is spot on, especially when there are so many ways we can do so. Giving and receiving are intertwined in hope. You’ve said this beautifully, B. They both uplift, and ready us for the ultimate receiving of His grace and love. Thank you for your contribution, my friend. It each day. Have a great day and week. “…and hope does not put us to shame, because God’s love has been poured into our hearts through the Holy Spirit who has been given to us.” I enjoyed reading your post. Makes sense! 😉 Hope poured into us, if we are willing to receive it? And so, we must not ‘keep it’ or ‘get it’ – we must ‘channel it’ AND allow others the joy of doing the same? Thank you Holy Spirit for placing hope in our hearts. I enjoyed your post Belinda.